This past weekend I had a girls weekend with my sister-in-law and a friend. It was a must need break since I am rarely without the boys. 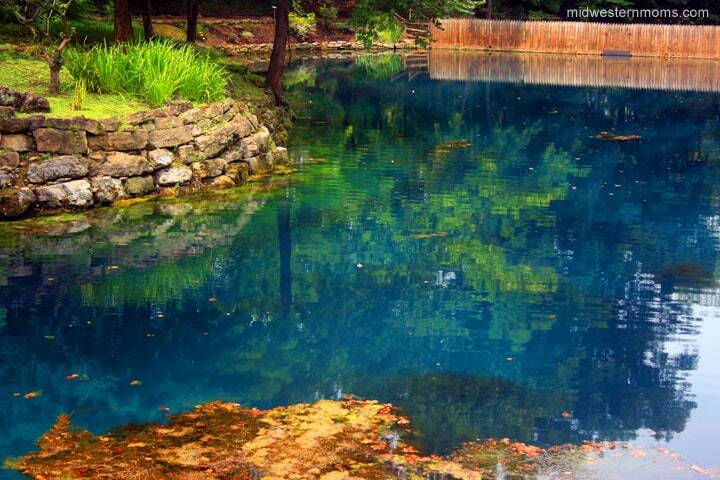 Our travels took us to Eureka Springs, Arkansas and the first place we visited was the Blue Spring Heritage Center. 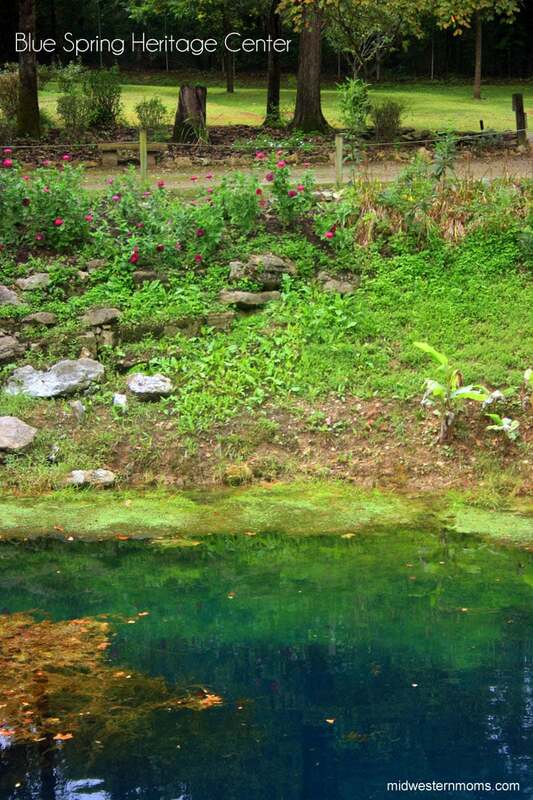 I bet you can’t figure out why they would call it the Blue Spring? Isn’t the water just wonderful! It was also a cool 52 degrees! Refreshing on a hot day. The Blue Spring Heritage Center was very peaceful when we were there. Not a lot of people around which made it a perfect place to relax. There is a nice hiking trail with wonderful flowers all around. 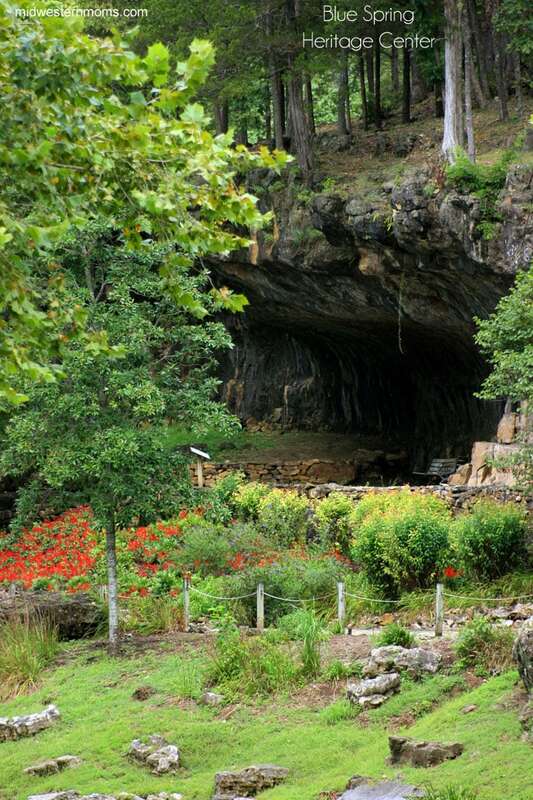 As you walk, you will learn about different historical events for the spring from an old mill to the Trail of Tears. 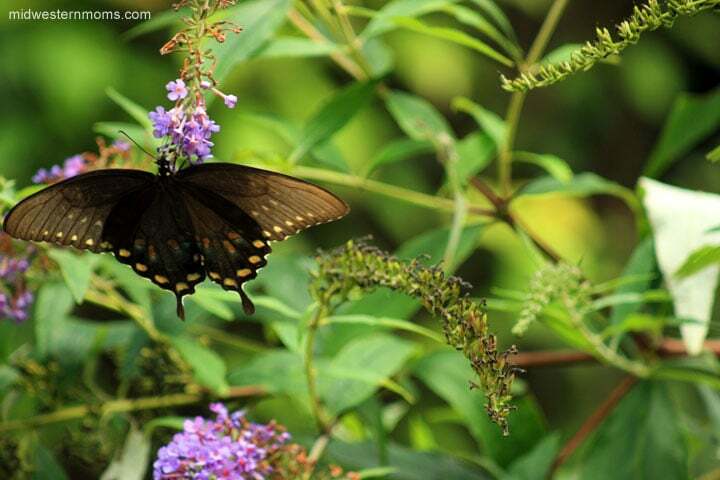 As you are walking around looking at the flowers, you are surrounded by cute little squirrels and butterflies. I had a lot of fun trying to capture the butterflies. If you are planning to stay in Eureka Springs, Arkansas, I highly suggest you stop by the Blue Spring Heritage Center. Don’t miss out seeing the beauty of this place. Also, check out how I liked the Turpentine Creek Wildlife Refuge which is also located in Eureka Springs. Make sure you follow me on Instagram so you can see some of the places I visit as I am there! *I was not asked to write about my travels. I simply wanted to share with you the beautiful Blue Spring Heritage Center. Beautiful pictures! Looks like an amazing place to go an relax while taking in nature. Thank you for sharing your trip! How gorgeous – that water looks like a painting !!! wow what a beautiful place for a hike! The water is so incredibly blue!! OMG, this place is beautiful! Your pictures are awesome! I’m not a hiker, but this looks like a great place to visit.